Hello Everyone! 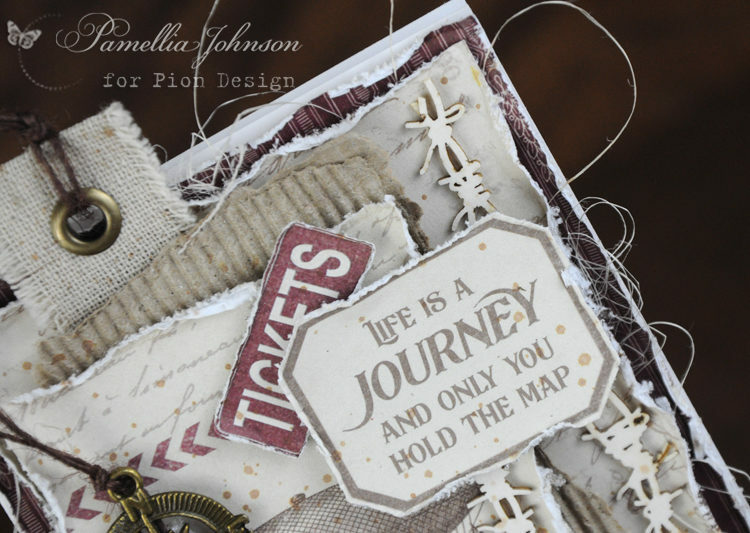 Today I am excited to share my first card featuring the newest Pion Design Collection “The World Awaits”. 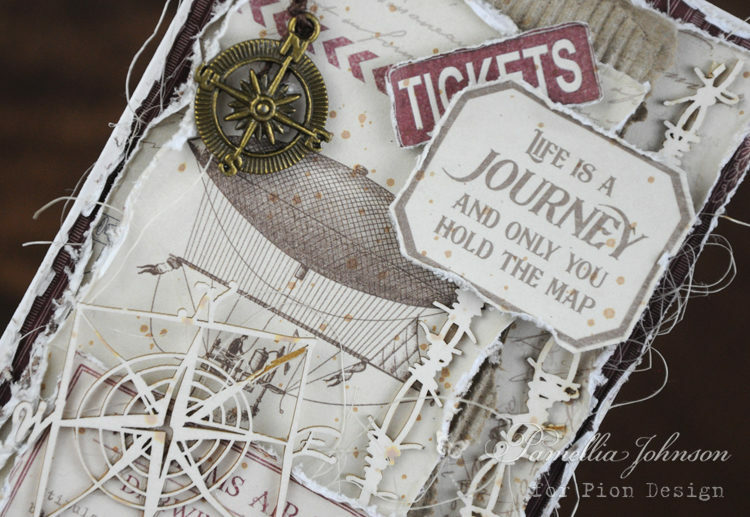 This collection is so fun to create with, I just couldn’t stop myself from adding more and more amazing vintage elements! Wow, I just love this – the delicate neutrals and the fabulous layered textures. Gorgeous!